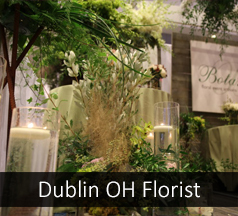 The signature flower arrangement that Flowerama custom created for Dublin is called "Gardens of Dublin". Flowerama delivers this arrangement along with roses, Cheryl's Cookies and more to Dublin everyday of the week including Sunday. Need your fresh flower arrangement delivered the same day in Dublin? Flowerama has you covered. Do you want even faster delivery to Dublin? Flowerama can do that as well just select our express delivery option at check out. We are a locally owned flower shop with four locations in Central Ohio, we offer great prices great service and a great selection. We also provide daily flower delivery to Dublin businesses, Dublin schools, Dublin hospitals, and Dublin nursing homes.